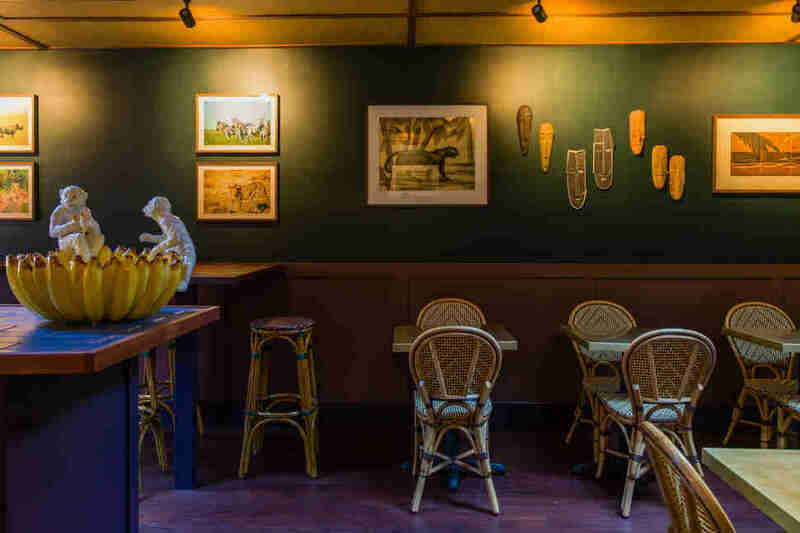 San Francisco has firmly ensconced itself as one of, if not the best, food cities in the U.S. And because life is good, at least when it comes to eating, 2018 brought us even more amazing places to eat in the 7x7. We don’t take the word “best” lightly around these parts, though, so to determine which restaurants would make this list, we considered several things, including if the restaurant filled a void in the city’s dining landscape, if the meal is worth the price tag, how objectively delicious the food is that’s coming out the kitchen and, well, if it was really one of the best of the best. That means a few newcomers that are well worth a visit, like Violet’s, Pearl, Birdsong, and Besharam didn’t make the list, but it also means you can trust that these seven spots are extremely legit and worth every penny. 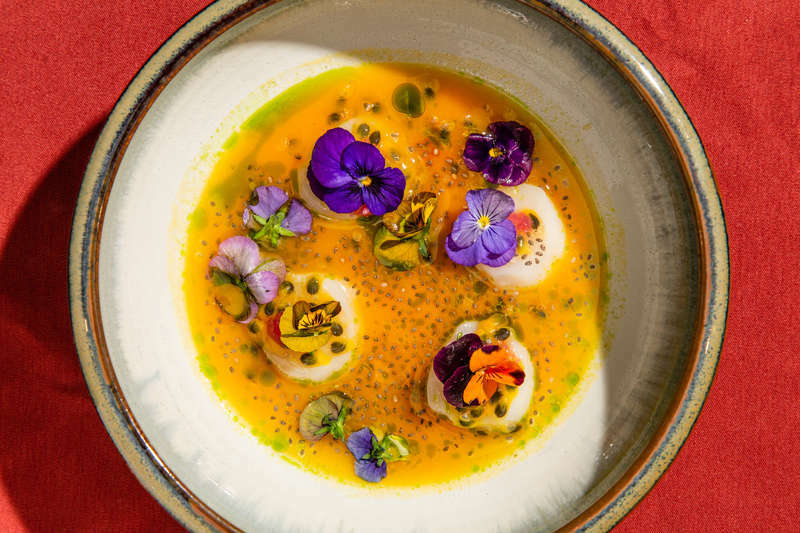 Angler was one of the city’s most anticipated 2018 openings, which is what happens when the chef behind one of the city’s -- and country’s -- most expensive tasting menu opens a “casual” restaurant with stunning Bay Bridge views that promises to be substantially more affordable. Of course “affordable” in this town somehow still means $17 cocktails, $20 for antelope tartare, and $60 for a whole chicken, so take that descriptor with a grain of salt (for which you will not be charged any extra, although the same cannot be said for the cultured butter, which will set you back $3, but is worth every penny). Everything on the a la carte menu at Angler is worth it when you’re in the mood for a convivial meal that feels decadent in the most Northern California way possible, with ingredients from local hunters, ranchers, and farmers, and cooking that revolves around a 32-foot wood burning fireplace. The dishes (organized by “raw bar,” “salads,” “vegetables” and “fish and meat simply roasted over the embers”) are meant to be shared, and if you’re having a hard time deciding, one of the servers or sommeliers in their impeccably tailored suits will happily show you the way. Which will hopefully lead you to the aforementioned antelope tartare. This Italian restaurant is the hottest reservation in town. There was a lot of buzz about this auto body shop-turned-pizza and pasta spot from chefs David Nayfeld and Angela Pinkerton before it opened, but once Anderson Cooper and Gwyneth Paltrow raved about the food on Instagram, any chance of getting reservations went straight out the second story window of the stylish and colorful dining room. However, for those who do manage to score a table (pro tip: wait in line before opening or go late night when walk-ins can be accommodated), Che Fico (pronounced “Kay Feeco”) continues to live up to the hype with a robust menu of the expected, like rustic pasta dishes and an SF-take on Neapolitan pizza (get the pineapple and onion, trust us), as well as the slightly more unexpected -- housemade salumeri (order the “Chef’s Progression”) and five “Cucina Ebraica” that are reflective of the Jewish-Italian tradition. The cocktail menu is also a standout, as are the desserts, which is why we don’t expect the reservation books to stop filling up anytime soon. We’re often asked for restaurant recommendations and, though it has only been open since September of this year, the place we’ve gushed about more than any other is Kaiyo. 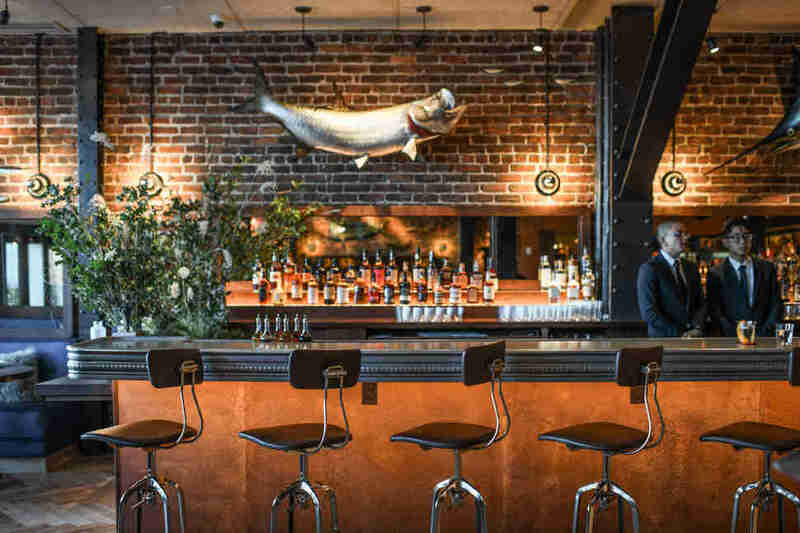 And we are well aware that there’s a whole faction of San Franciscans who are wary of venturing to Cow Hollow, but we promise this Nikkei-inspired dishes and cocktails at this vibrant and colorful restaurant with a heated patio are well worth the trip. What to order? Go often enough to order everything, but start with Hokkaido scallop tiradito, the Japanese bluefin tuna, the smoked duck breast sashimi with shaved foie gras torchon, the Japanese mentaiko pasta with clams and pork, and the cusquena-brined Mary’s chicken. 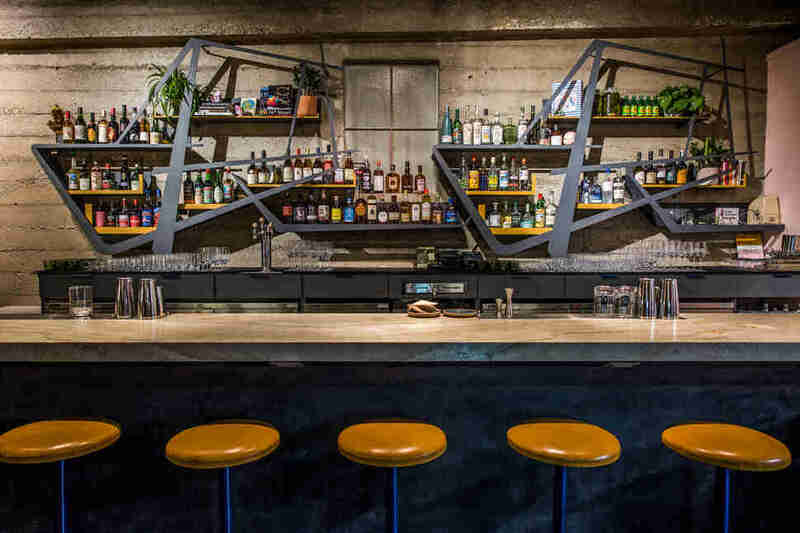 It’s all about the dumplings, drinks, and decor at this Trick Dog spinoff. Trick Dog is famous for being one of the best bars, well, anywhere. So there was definitely pressure for its sibling to be equally as impressive. But this is the Trick Dog team we’re talking about, so while they might have felt the strain, there was never a second of doubt their new venture would blow us out of the water. Almost everything at this bi-level spot feels utterly unexpected, yet satisfyingly spot-on. The exotic animal statues, sculptures, and paintings (intended to feel Southeast Asia/African safari meets Palm Springs retiree) juxtapose seamlessly with the tropical/tiki cocktails with a Trick Dog twist, all melding effortlessly with Chinese dishes, like dumplings, kung pao chicken, fried pork spring rolls. Bon Voyage makes little sense on the page, but complete sense when you’re in the space, eating, drinking, and taking it all in. All of which you can happily do until 2am every night of the week. Alexander Hong is one of the latest SF chefs to turn his successful pop-up (he sold out all 135 dinners) into a successful brick-and-mortar. 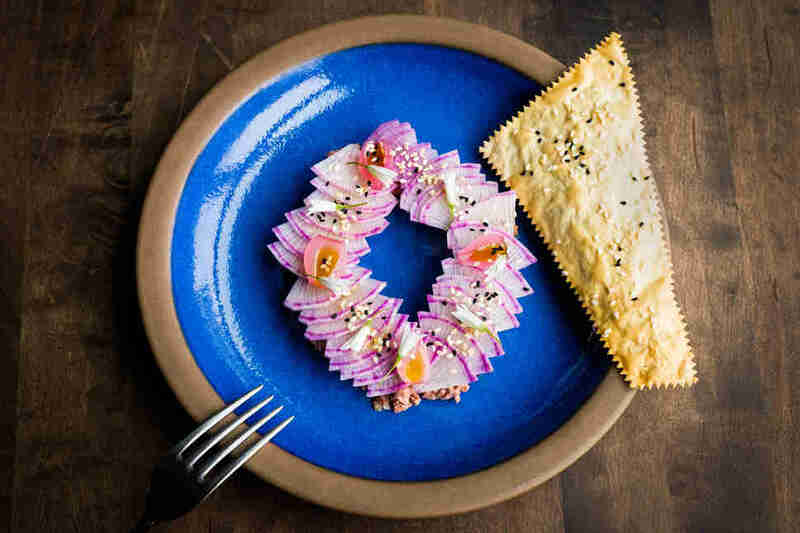 Sorrel’s seasonally-driven menu isn’t what an adventurous diner would describe as revolutionary, but it is all incredibly thoughtful and well-executed. 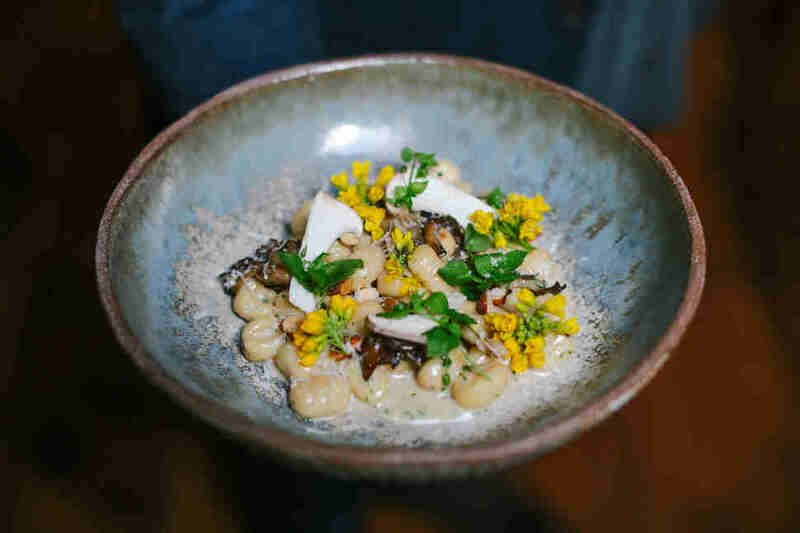 Plus, for this neighborhood, which is home to reliable, but perhaps not incredibly imaginative staples like Spruce, Sociale, and Garibaldi’s, Sorrel does feel like a step closer to something one might find, well, not on Sacramento Street. 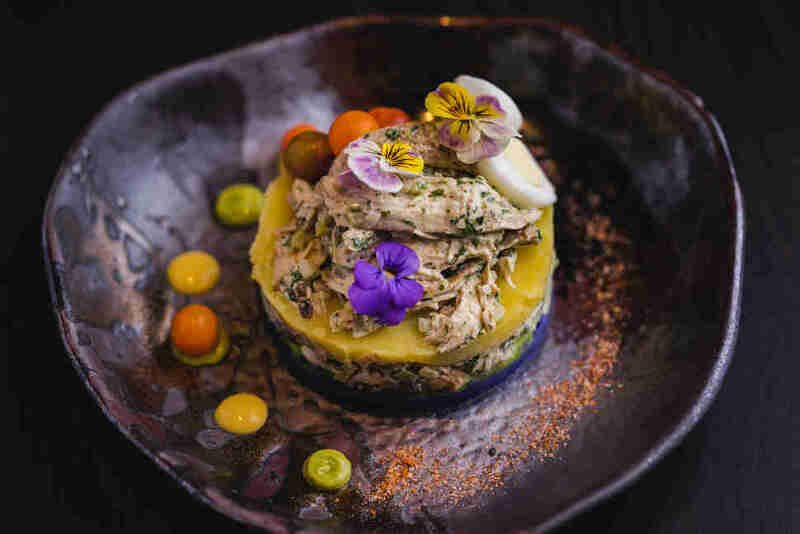 Here, you can expect dishes like a dry-aged beef tartare, some kind of crudo, a foie gras torchon, handmade pastas, and a sourdough focaccia, all of which truly do blend the best of the cuisines of both regions. Sorrel likely gets a lot of diners who don’t scoff at spending $140 per person for a tasting menu with wine supplement, but for those without a 94115 zip code (or the bank account that tends to come with it), it is still worth a trip across town to enjoy a perfectly prepared pasta dish and a low ABV cocktail, which you can get for $40 with tax and tip… as long as you can resist the $65 spaghetti alla carbonara with alba white truffle that is. Elevated stoner food and some of the best cocktails in town. Technically True Laurel opened in late December 2017, but we’re such fans of the spot from Lazy Bear’s chef/owner David Barzelay and partner/bar director Nicolas Torres that we had to slip it in here. Lazy Bear gets a lot of hype, deservedly so, but if we had to choose between one $300 dinner at Lazy Bear or five $60 dinners at True Laurel, we’d always go with the latter. Maybe because while Lazy Bear is delightful, inventive, and somewhat formal, True Laurel has what we almost constantly crave: creative cocktails, indulgent food (think: broiled oysters, beef cheek and aged cheddar fondue, and a griddled patty melt), and a casual space in which to enjoy them.